"Doctorwine" has rated the wine "Fontodi Flaccianello della Pieve Colli della Toscana Centrale IGT, Tuscany, Italy" from the vintage 2001 on 28.05.2015 with 96 of 100 points.
" Made from only Sangiovese grapes from a single vineyard, in Panzano near Pieve di San Leonino in the southernmost part of the Chianti Classico zone in the province of Florence. The vineyard is situated at an altitude of over 400m above sea level and the grapes produced a wine with a fairly intense ruby-garnet color. The bouquet was initially contracted and reduced but then opened up with notes of violet, black cherry and leather. The mouthfeel was quite pronounced, nicely upheld by the acidity, with particularly sweet tannins and a long and subtle finish. This particularly good vintage produced a Sangiovese that is as good as it gets. " "Doctorwine" has rated the wine "Fontodi Flaccianello della Pieve Colli della Toscana Centrale IGT, Tuscany, Italy" from the vintage 1991 on 07.05.2013 with 83 of 100 points.
" Could this have just been an unlucky bottle? Given the seriousness of this winery it could very well be the case. Unfortunately, this 1991 kind of disappointed us all because, while it was objectively good, we had greater expectations. It was a two-tier wine with an aroma that rested on evolved scents with wet leaves, tamarind and consistent smokiness, along with honey and almond. The flavor, on the other hand, was still lively thanks to a nice consistency, an excellent resolution and an acidity that continued to keep the wine alive. The finish was of average length, even if a bit covered, with a fresh acidity. " "Doctorwine" has rated the wine "Fontodi Flaccianello della Pieve Colli della Toscana Centrale IGT, Tuscany, Italy" from the vintage 2005 on 17.02.2012 with 92 of 100 points.
" Every once in a while in my tastings I tell you about a wine which has been a great love of mine. This was one of these and one never forgets their first loves! Pure Sangiovese, made with extreme care and great professionalism. Its drinkability is a first class. The color is crimson red with bright glints, the taste satisfying, long, very elegant and fresh tannins, as much as needed. The nose is precise to a millimeter, no dribbling. " "Doctorwine" has rated the wine "Fontodi Flaccianello della Pieve Colli della Toscana Centrale IGT, Tuscany, Italy" from the vintage 1995 on 22.09.2011 with 95 of 100 points.
" A late harvest, with picking that ended in the second half of October: it gave rise to a particularly gutsy Flaccianello, which initially wasnâ€™t really understood. It now displays a rather intense bright garnet colour and inviting, very complex perfumes of extraordinary breadth. 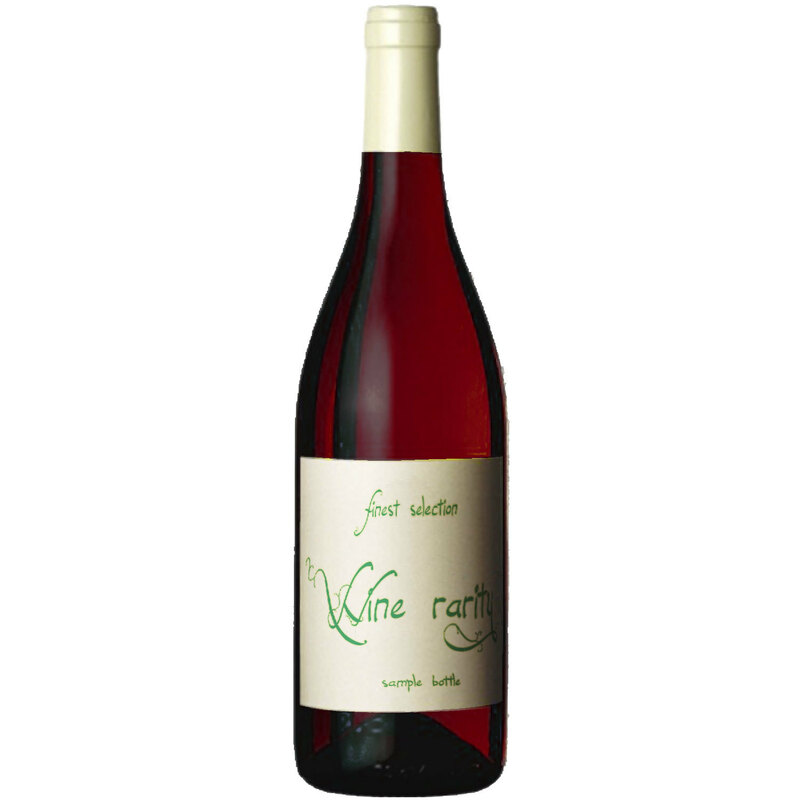 Its nose ranges from hints of violets to notes of tobacco, liquorice and nuances of freshly stewed sour cherries. Its flavour is forthright and elegant, almost aristocratic, with crisp acidity and some tannins in evidence. The finish is very long. " "Doctorwine" has rated the wine "Fontodi Flaccianello della Pieve Colli della Toscana Centrale IGT, Tuscany, Italy" from the vintage 2007 on 22.09.2011 with 95 of 100 points.
" This was a uniformly hot year, but without any sudden excessive rises in temperature, and the harvest was early. This is a very rich but nonetheless delicious Flaccianello, which is almost exotic in style. The colour is a very intense and concentrated ruby. The nose is broad and ethereal, with spicy and balsamic notes alongside the more usual ones of sour cherries and sweet violets. It is full-bodied and rich on the palate, with abundant tannins subdued by loads of alcohol and glycerine (for the first time, it has 15% alcohol by volume). This is a huge, monumental wine, but one that is well-balanced and pleasant to drink. The finish is very long and warming. " "Doctorwine" has rated the wine "Fontodi Flaccianello della Pieve Colli della Toscana Centrale IGT, Tuscany, Italy" from the vintage 2004 on 22.09.2011 with 92 of 100 points.
" This was a very decent vintage, but the Flaccianello was rather controversial, especially because of the reductive notes that initially compromised the elegance of its fruit. It has improved greatly over time. It now displays an intense and concentrated ruby-garnet colour and even quite complex perfumes, with evident notes of tobacco and of leather, along with some faintly animal hints. The flavour is forceful and assertive, with still exuberant but not aggressive tannins, and fruit of notable impact. The finish is very long. " "Doctorwine" has rated the wine "Fontodi Flaccianello della Pieve Colli della Toscana Centrale IGT, Tuscany, Italy" from the vintage 1990 on 22.09.2011 with 92 of 100 points.
" This comes from a very decent vintage, which was fairly hot but also not too precocious. It has an intense garnet colour and an enticing, complex nose, with very evident floral notes and smoky, mineral hints reminiscent of tar and liquorice and suggestions of sour cherry jam. There are tobacco and leather underlying. The flavour is gutsy and vertical, very lively and even youthful, and well sustained by acidity, which dominates the wineâ€™s taste profile. The finish is quite long and restrained. " "Doctorwine" has rated the wine "Fontodi Flaccianello della Pieve Colli della Toscana Centrale IGT, Tuscany, Italy" from the vintage 1999 on 22.09.2011 with 90 of 100 points.
" This was a very good year, with a harvest that took place at just the right time. This Flaccianello started off its life slightly rustic, only becoming more elegant with time. It has an intense ruby-garnet colour with good concentration. Its aromas are appealing and intense. Though initially closed and reductive, they then opened up to become broad and complex, with notes of sweet violets, sour cherries, flint, tobacco and leather. Its flavour is intense, with good sustaining acidity and a still fairly marked tannic vein. The finish is long and quite warming. " "Doctorwine" has rated the wine "Fontodi Flaccianello della Pieve Colli della Toscana Centrale IGT, Tuscany, Italy" from the vintage 1997 on 22.09.2011 with 90 of 100 points.
" A hot year - the first of a long series - and also an early vintage, but one that at Panzano yielded wines that were less flabby than in other hotter zones in Tuscany. The colour is an intense garnet, with good concentration. Its nose is very appealing, with hints of ripe fruits, sour cherries, tamarind and almost spicy as well as faintly mineral notes. There are initial hints of reduction which disappear after a minute or so in the glass. It is well-balanced, though a bit mellower than some other vintages because of the richness of its glycerine content. The finish is long and warming. " "Doctorwine" has rated the wine "Fontodi Flaccianello della Pieve Colli della Toscana Centrale IGT, Tuscany, Italy" from the vintage 2000 on 22.09.2011 with 90 of 100 points.
" A hot and rather dry vintage, in which picking took place fairly early and the grapes tended to be somewhat overripe. This is a surprising Flaccianello, which was just about ready to drink when it was released but continues to age very gracefully. Its garnet colour is intense and concentrated. The bouquet is rich and even broad, with notes of ripe fruit and of flowers: there are hints of violets, raspberries, sour cherries and tamarind, and then of tobacco and leather. Its flavour is particularly smooth, rounded and warming, and the finish is long and alcoholic. " "Doctorwine" has rated the wine "Fontodi Flaccianello della Pieve Colli della Toscana Centrale IGT, Tuscany, Italy" from the vintage 2006 on 22.09.2011 with 88 of 100 points.
" This was a hot year, with some periods with very high temperatures indeed. The Flaccianello is very rich and a bit over the top, but also slightly â€œstiffâ€�. The colour is a very intense, concentrated ruby. The nose is ethereal, with almost penetrating alcohol and scents of sour cherries in brandy, leather and more animal-like and rustic hints in the background. It is fairly aggressive on the palate, with tannins very much in evidence â€“ even more than the acidity, so as almost to represent a change in style. The finish is long and alcoholic. " "Doctorwine" has rated the wine "Fontodi Flaccianello della Pieve Colli della Toscana Centrale IGT, Tuscany, Italy" from the vintage 1996 on 22.09.2011 with 87 of 100 points.
" This was an average year, which was a little bit rainy towards the end of the harvest and generally rather cool. It produced a very slender but fairly long-lived Flaccianello, perhaps a bit lacking in complexity. The colour is very attractive: a lively, almost brilliant garnet. Its aromas are not all that broad-ranging, with notes that are still fruity (of sour cherries and raspberries) as well as faintly decadent hints that are redolent of liquorice and soya sauce. The flavour is gutsy, with perhaps just a little bit too much acidity, and there is a medium-long finish. " "Doctorwine" has rated the wine "Fontodi Flaccianello della Pieve Colli della Toscana Centrale IGT, Tuscany, Italy" from the vintage 2003 on 05.09.2011 with 88 of 100 points.
" This was an extremely hot and dry year, which yielded wines with lots of alcohol, but also with rather green tannins. The Flaccianello is something of an exception to this rule and expresses itself with its habitual class. It has an intense garnet colour. Its bouquet is enveloping and ethereal, with a penetrating alcohol component and scents of cocoa, tamarind, leather and sour cherries in brandy. Its flavour is a bit angular thanks to the rather rough tannins, only partly mitigated by the softness of the glycerine. The finish is fairly long and warming. " "The Wine Front" has rated the wine "Fontodi Flaccianello della Pieve Colli della Toscana Centrale IGT, Tuscany, Italy" from the vintage 2014 on 04.11.2018 with 94 of 100 points.